HMF offers a number of additional services to the traditional mezzanine floors, with one of the most popular being office partitioning. Many businesses in West Sussex expect office partitioning as part of their mezzanine flooring and HMF is only too happy to help. HMF creates solid walls by tape and jointing the plasterboard, which removes the need for partitioning trims. This also creates a seamless, smooth appearance, so it easily blends in with your existing walls when it comes to decorating. This system of office partitioning is commonly used for boardrooms, meeting rooms and other permanent spaces in the office. 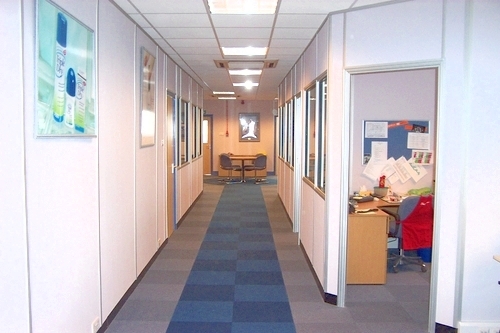 It can be fire rated and our office partitioning is available in a range of wall thicknesses. We meet the requirements for height, sound or fire rating purposes, as per your business needs. Relocatable partitioning is available from HMF in thicknesses of 50mm, 75mm or 100mm, and we have a wide variety of panel configurations and finishes available, depending on requirements. Because this office partitioning is fully relocatable, it provides the flexibility to adapt to your working environment accordingly. The quality system offers a stylish solution to the planning of your interior space and is specially designed to accommodate fast-track installations. The relocatable office partitioning in West Sussex can be non-fire rated or fire rated for up to one hour. 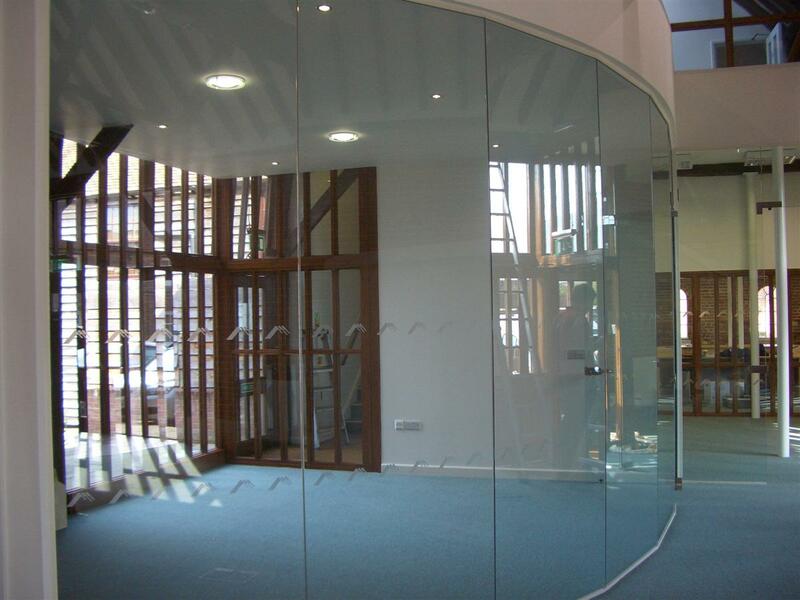 Using glazed partitioning, HMF can create eye-catching designs. We use flush glazed window units to achieve an elegant finish and offer the option of either single glazing or double glazing window units. Integral Venetian blinds can be provided, offering a high level of sound performance and greater privacy if required. Full height and half height glazing is offered from HMF, both of which will maintain a 30 minute or one hour fire resistance if required. For glazed partitioning systems and doors, manifestations are used so as to satisfy the statutory requirements within Building Regulations Document M. Manifestations on glazed partitioning also offers an additional element of privacy to individual offices. We can use your corporate images or identity to increase brand awareness, or we can opt for a generic pattern if you prefer. Either will work to create a stylish, professional looking finish. Jumbo stud partitioning is the most suitable option for large heights and is also ideal for when fire and sound insulation performance is critical. The jumbo stud boards can be finished by tape and jointing, creating a seamless finish. Alternatively, painted aluminium trims can be used for something a little different. All of our office partitioning systems in West Sussex are created to meet the needs of our clients. We’ll discuss in detail your requirements and come up with a suitable solution for your office space. Please view our gallery pages to get an idea of some of our previous projects or, for more information on any of our partitioning systems, please contact us and we’ll be happy to help.